Queens, Staten Island, and New Jersey, it includes wildlife estuaries, bird-nesting areas, salt marshes, historic military forts, beaches, and NYC's first municipal airport, to name just a few of its exceptional features. It also contains sewage treatment plants, sewer outfalls, landfills, and acres upon acres of "black mayonnaise." Due to neglect and misuse, this extraordinary natural and national resource is at risk. Ninety percent of the salt marshes in Jamaica Bay one of the most biologically productive habitats in the region will have disappeared by 2011. 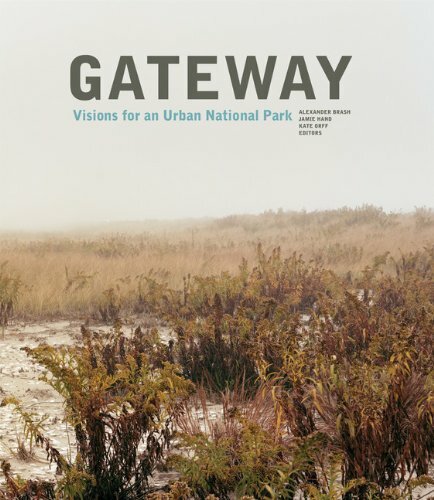 This book presents the collaborative efforts of the Van Alen Institute, the National Parks Conservation Association, and Columbia University Graduate School of Architecture, Planning, and Preservation to investigate and document the diverse ecology of the park and re-envision a more sustainable future for it.